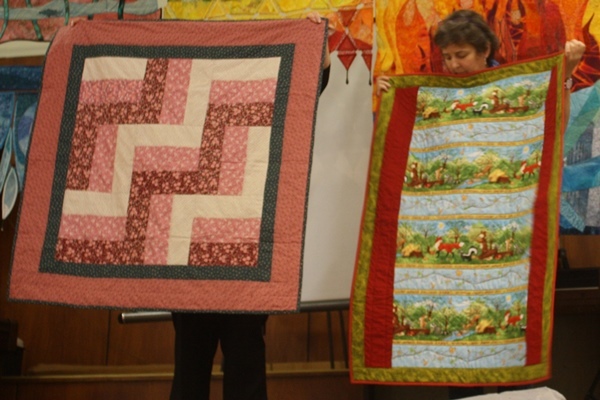 Our May meeting was very well attended, with 104 members plus 5 visitors sharing the anniversary of the founding of P&Qs. 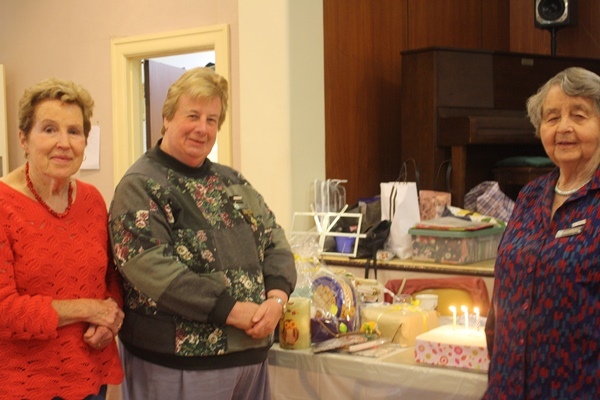 Three of the foundation members - Ann Allsop, Allana Kirk and Margaret McGregor - lit the candles on the special cake which celebrated our 37th birthday. 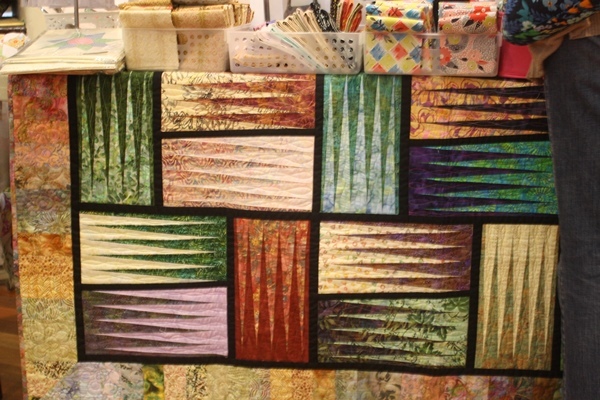 As we found out later, it was as nice to eat as its appearance promised. 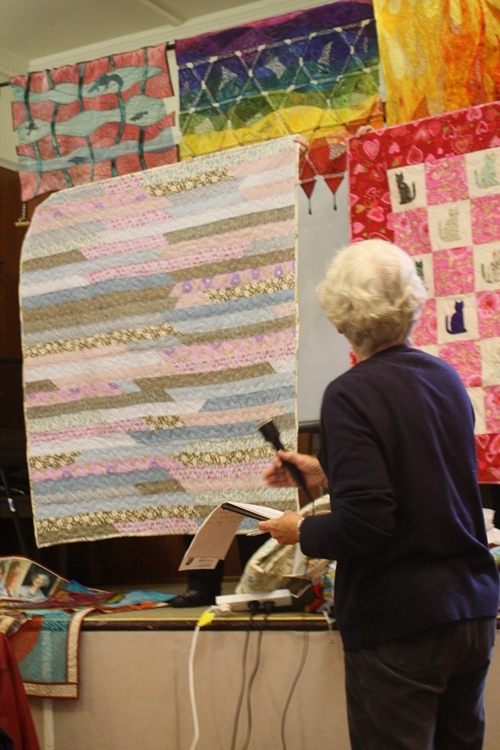 The shop, Sewn and Quilted, was manned by Carol and Les, and presented an interesting range of patterns, fabrics and heaps of other essential items. 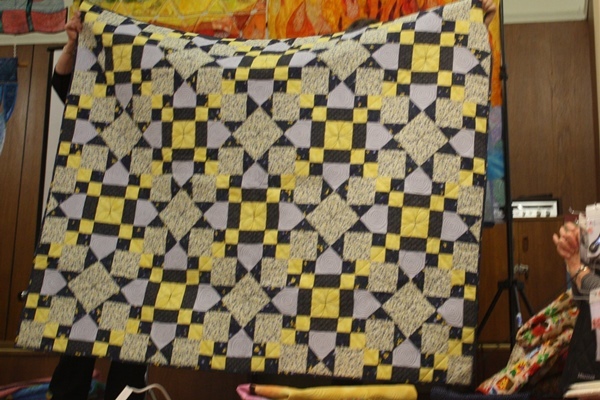 For more information about the shop see www.sewnandquilted.com.au The photos below show a few of the lovely quilts that were displayed around the shop tables. 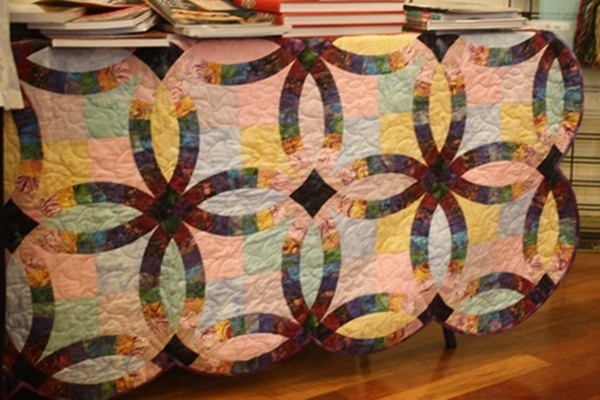 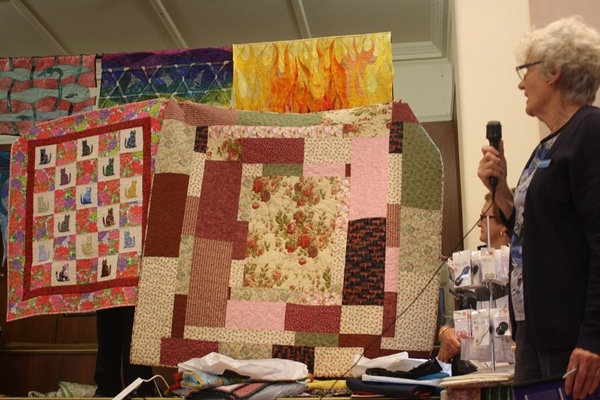 Our speaker, Debbie Layt, spoke to us about her quilting journey. 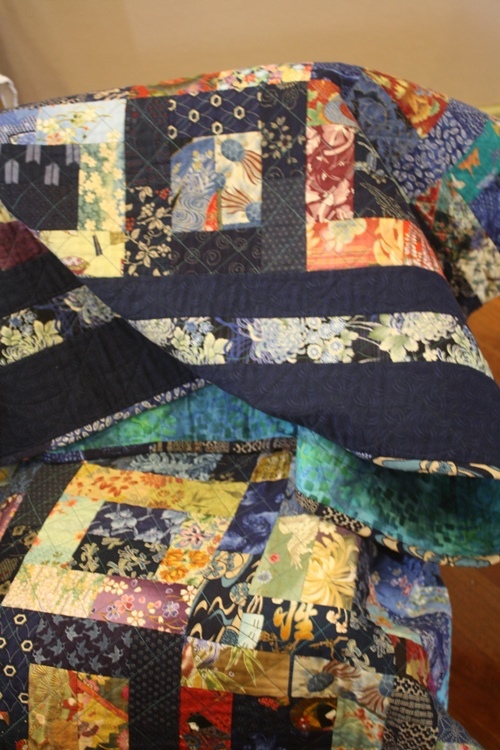 Look at the photos below to see some of the amazing quilts she has created - her innovative quilt designs are both delicate and elaborate. 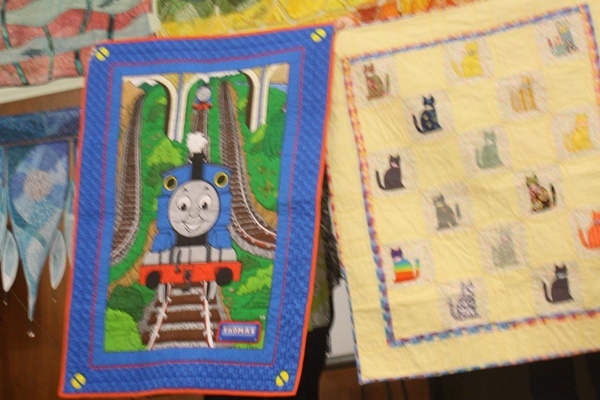 It was a real treat to see the variety of quilts she presented at the meeting. 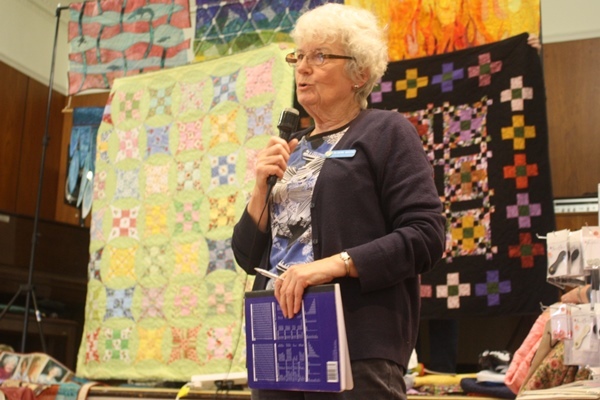 Mary updated members about our up-coming exhibition, and reminded us about the procedures for submission, and also about the Challenge (Remember: the quilts must be blue and white ONLY). 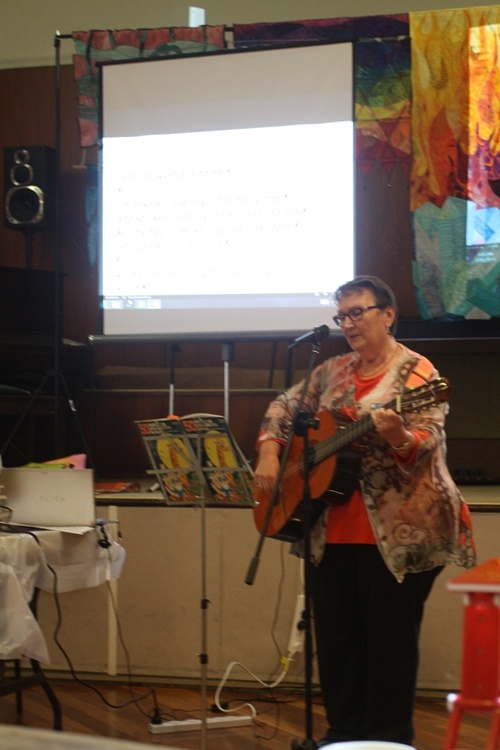 A highlight of the meeting was the singalong led by Deb - our very talented and creative choir leader. 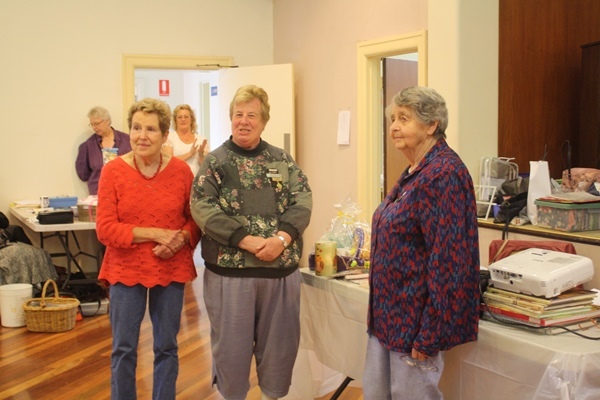 I particularly enjoyed "I've got everything?" Thank you Deb. 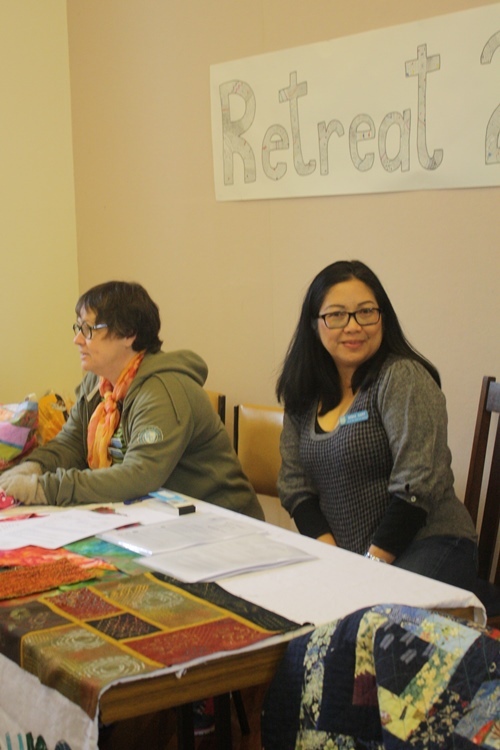 Leslie, Siska and Jocelyn organised a very interesting display at the Retreat table. 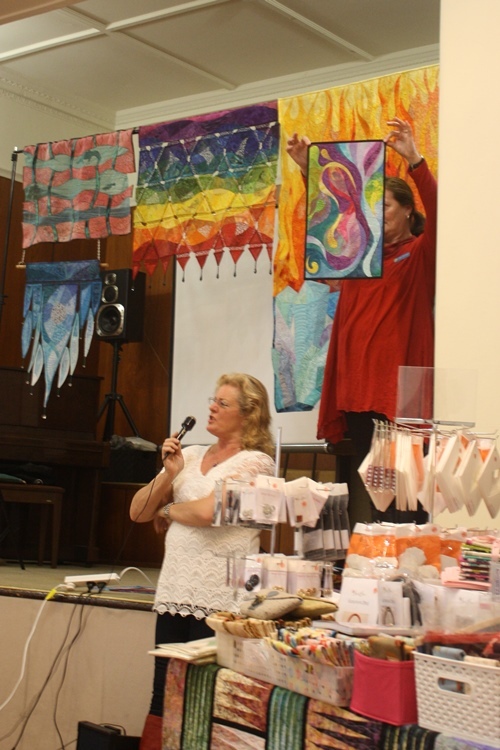 They provided a demonstration of the potential products and outcomes of classes which have been organised for the Retreat. 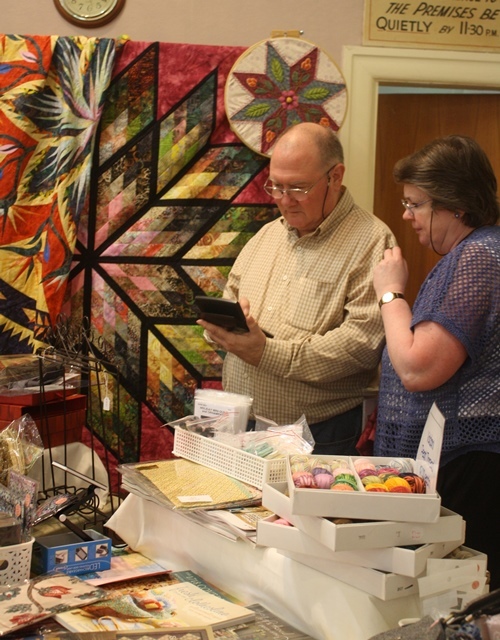 Further details can be found under the retreat section of the website. 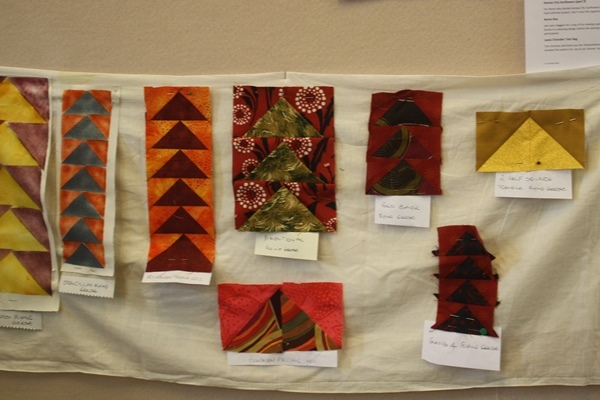 (An idea of what is planned can be seen in the photos in the gallery below). 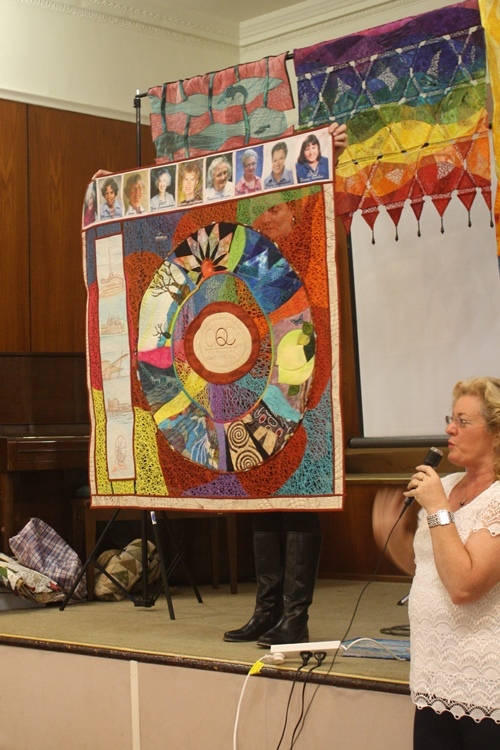 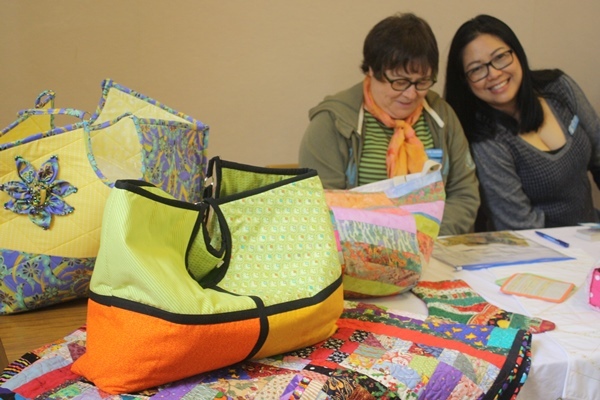 The meeting featured a display of some colourful and varied Caring and Sharing quilts, and then finally, there was the opportunity to enjoy the special Show and Tell display. 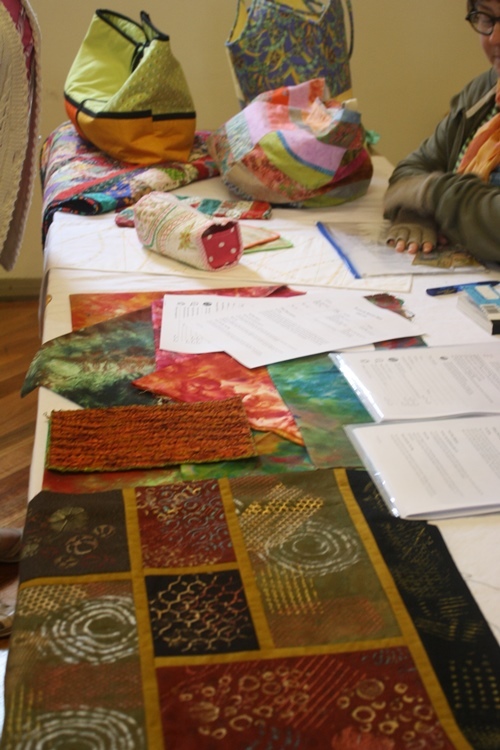 Overall it was a very cheerful and productive meeting.